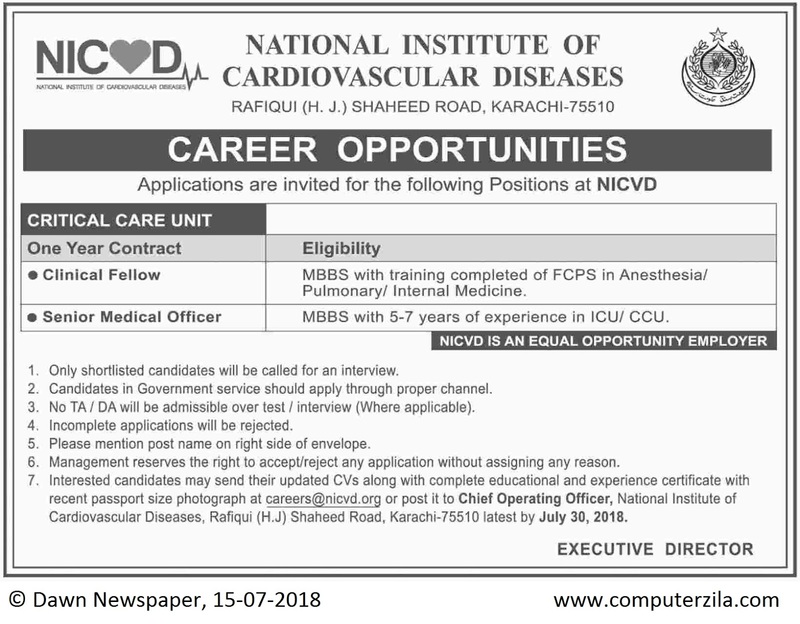 Career Opportunities at National Institute of Cardiovascular Diseases (NICVD) in Karachi Cities. National Institute of Cardiovascular Diseases is a Government Organization which requires employees for Clinical Fellow, and Senior Medical Officer Jobs in cities Karachi. NICVD offers jobs opportunities, applications are invited for the following positions Clinical Fellow and Senior Medical Officer at Critical Care Unit for One Year Contract.